Printed products imported into Azerbaijan should be exempted from the value added tax (VAT), Azerbaijani MP Aflatun Amashov said at a meeting of the parliamentary committee on culture on Jan. 17. He noted that books are very expensive in the country and therefore imported printed products should be exempt from VAT. Committee Chairman Rafael Huseynov said that the books have risen in price for some certain reasons. "The prime cost of books has grown, which is the reason for the rise in price. In order to prevent an excessive price increase, there must be certain benefits. 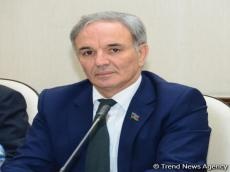 Benefits should be applied for books, maps and other imported publications, so that people can buy them," Huseynov said.